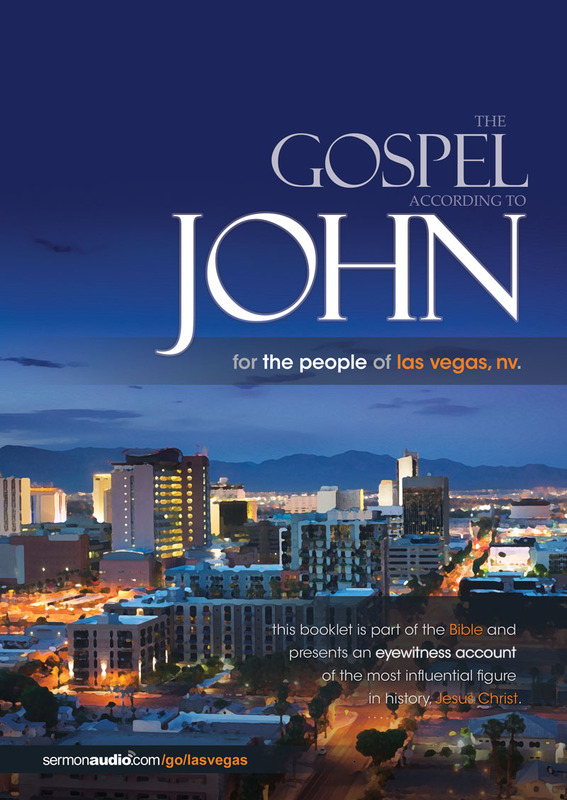 Welcome to the LAS VEGAS, NV campaign of the Gospel of John Project! If you received this booklet in the mail, thank you for visiting. To start, we would encourage you to enjoy the following recommended audio and video links that might be an encouragement to you. 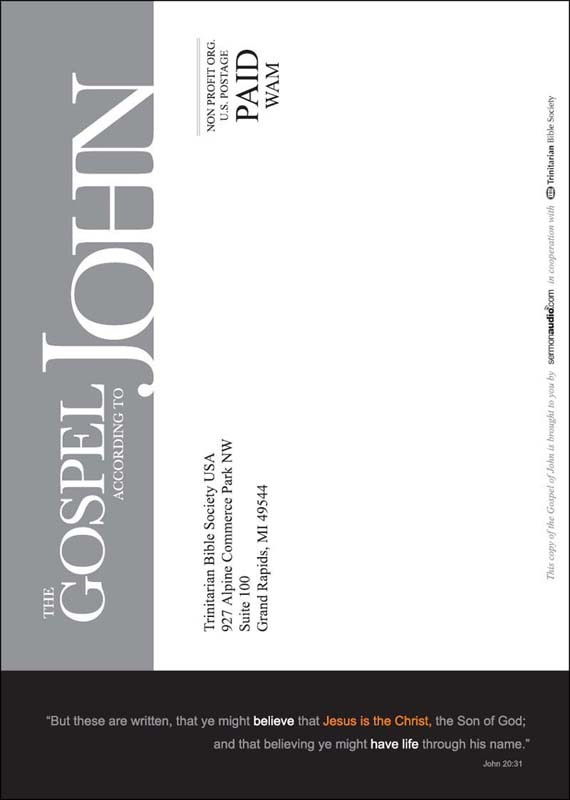  Studies: Gospel of John | more..
10,000 booklets for this campaign have been delivered! Please take the opportunity to browse through our vast library of teaching and preaching resources on any Bible verse and on any topic free of charge  on your iPhone, Android, television, etc in audio and video! And be sure to visit a good, local church in your own area this Sunday! 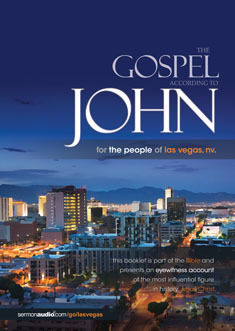 Attractively designed, easy-to-read, full-color glossy cover, 5x7" form factor. 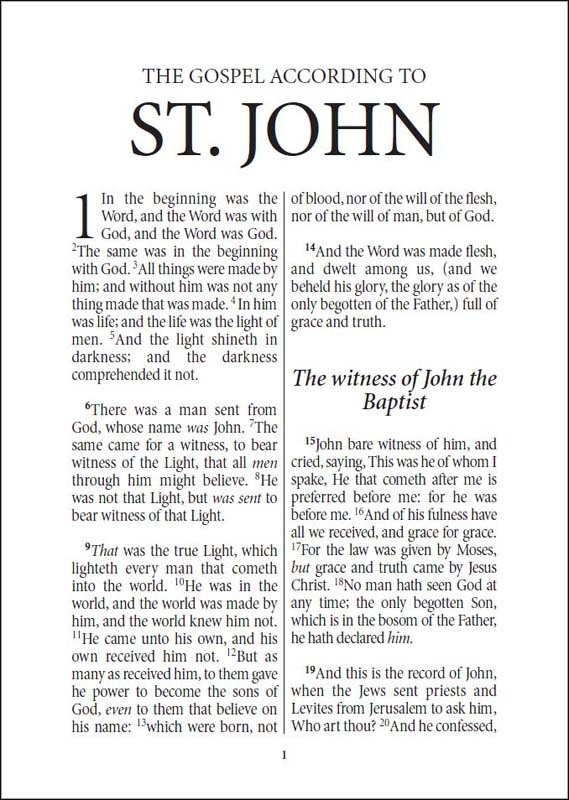 The Gospel of John has been used more frequently than any other to bring people to a saving knowledge of Jesus Christ; it was written for that purpose. It is our hope that many hurting homes and broken lives will be helped by the message of this incredible book. The promise of Scripture is that the Word of God "shall not return unto me void, but it shall accomplish that which I please, and it shall prosper in the thing whereto I sent it." (Isa. 55:11). It is with this in mind that we send this "good news" into the heart of our cities hoping to reach the hearts in the homes to which they are sent. This is our burden. 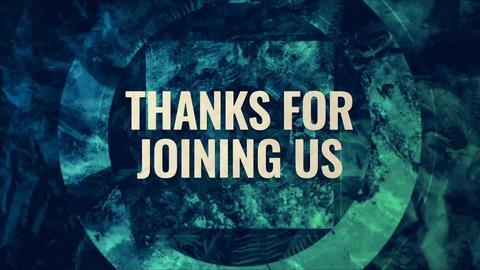 We hope you will share it. 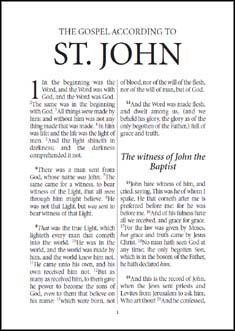 As we are able, our commitment is to PRINT, MAIL and DELIVER at least 10,000 copies of a city-themed Gospel of John booklet directly to homes in the designated target city. Any support amount by individuals or broadcasters is welcome and publicly acknowledged. Qualifying broadcasters can optionally benefit in additional ways (keep reading below). 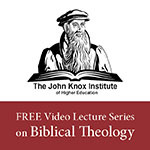 This project is a joint-effort between SermonAudio.com and the Trinitarian Bible Society. 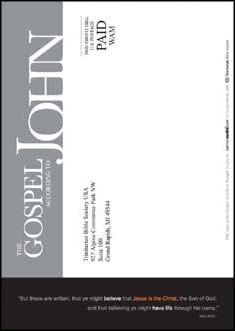 Those who receive the booklet not only benefit from the Gospel of John itself, but every booklet that is sent out has a URL printed right on the front cover that directs people to the Local Church Finder. 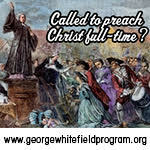 Our hope is that families will be directed to the churches on SermonAudio through this effort. GET MAXIMUM EXPOSURE. 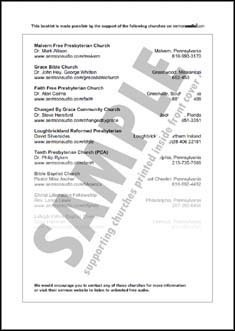 Broadcasters that sponsor with a minimum of $250 (500 booklets) will specifically have their church name and minister name (along with phone # and URL) PRINTED on the inside front cover of each booklet. 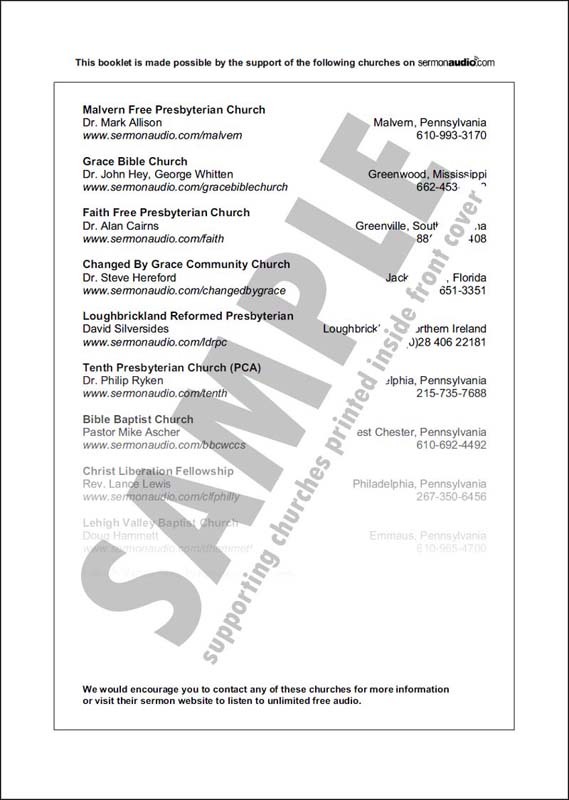 If that were not enough, you will also receive a FREE featured sermon coupon ($200 value by itself) to feature any of your sermons. It's our way of trying to achieve the most benefit to everyone involved! Welcome visitors! Please use the Local Church Finder (below) to find a faithful church nearest to you! All churches adhere to our Articles of Faith..
Optionally, view the above results in the 3D environment of Google Earth!